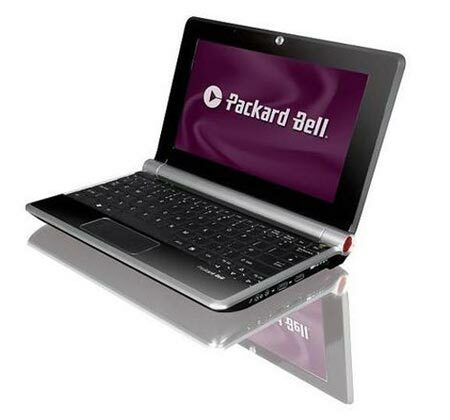 Another day, another manufacturer announcing a netbook, the latest is Packard Bell with the ‘dot’ netbook. The ‘dot’ netbook features the usual Intel Atom 1.6GHz processor, 1GB of ram and a 8.9 inch display with a resolution of 1024 x 600. For storage there is a 160GB hard drive, battery power comes in the form of a 6-cell battery, there are 3 USB 2.o ports, one VGA, a 5 in 1 card reader and a webcam, and of course it comes with Windows XP home. 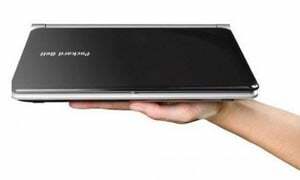 The Packard Bell ‘dot’ netbook will go on sale in Europe in November for around £320 about £595.